Amy Peterson lives with her husband and two children on a couple of acres of Indiana farmland. She teaches and works with the Honors program at Taylor University. With a B.A. in English Literature from Texas A&M and an M.A. in Intercultural Studies from Wheaton College, Amy taught ESL for two years in Southeast Asia before returning stateside to teach in CA, AR, and WA. Amy has written for print and online publications about faith and culture. Her first book, Dangerous Territory: My Misguided Quest to Save the World, released on Feb 1, 2017. IF YOU HAVE EVER HAD A DREAM THAT RESULTED IN DISAPPOINTMENT, THIS IS THE EPISODE FOR YOU. In our conversation, Amy gives us a sneak peek into the story from her book about serving as a missionary in Southeast Asia and how that experience eventually broke her heart. She confesses the beliefs and attitudes she had as a young woman that resulted in the disappointment and disillusionment she felt about God after her dream fell apart. I so appreciated hearing how she recovered and, ultimately, how she has allowed God to use the experience to inform her next steps. 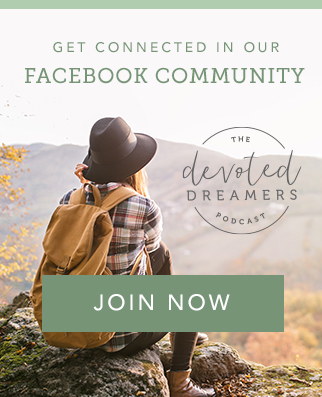 Amy also reminds us that Jesus has a very different measure of “success” compared to what the world deems successful, and she shares how that truth has impacted her dreaming. 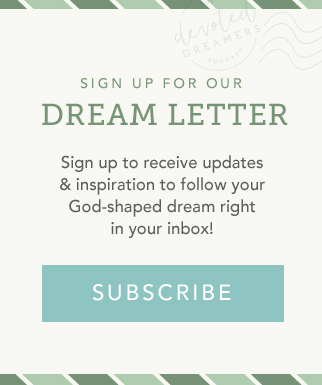 Amy returns to scripture again and again to inform our conversation, and I’m grateful for her perspective on how we can hold our dreams loosely and keep God at the forefront of our dreaming. Delight yourself in the Lord, and He will give you the desires if your heart.